It was built a century ago. At the time, it was an engineering masterpiece. Today, the Panama Canal is still the only water path from the Atlantic to Pacific Oceans without rounding Cape Horn at the tip of South America. Many cruisers experience just a partial transit -- roundtrip from the Atlantic to Gatun Lake. But in Part One of "A Canal Runs Through It," Editor Susan J. Young outlines her perspective of Silver Shadow's complete canal transit. 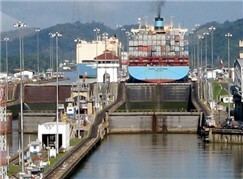 In this second part of our Panama Canal coverage, Editor Susan J. 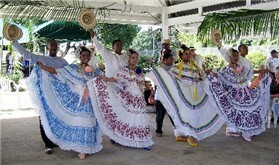 Young provides her perspectives in words and photos about the voyage through Gatun Lake, a visit via tender to the Gatun Yacht Club and a Panamanian folkloric show, the trip out to the Atlantic side via the Gatun Locks, and resources for travelers. So come along for this conclusion to our canal transit coverage!